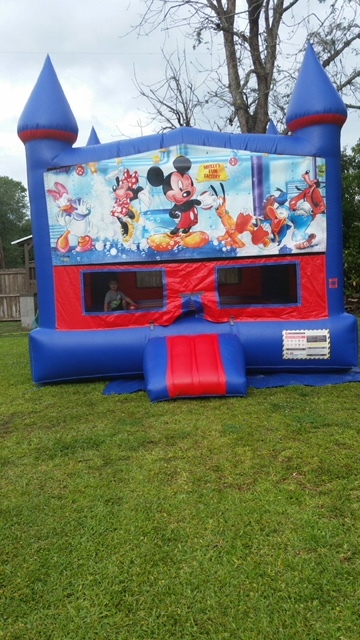 Join Mickey and the gang in our blue & red Mickey's Fun Factory bounce house! 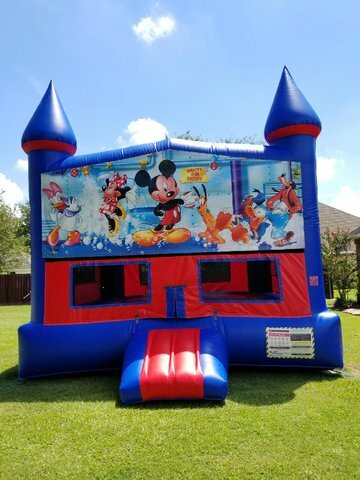 All your favorite characters from the Mickey Mouse Clubhouse can be seen, such as Daisy, Donald, Goofy, Minnie and Pluto! 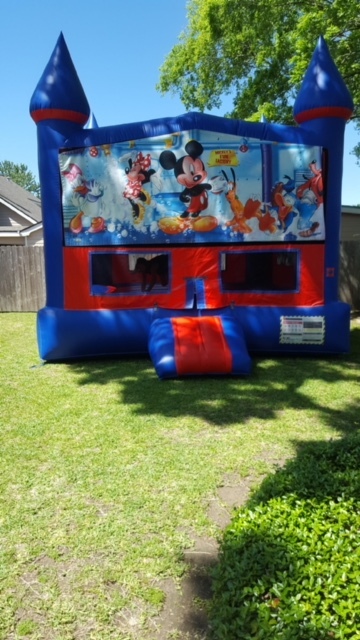 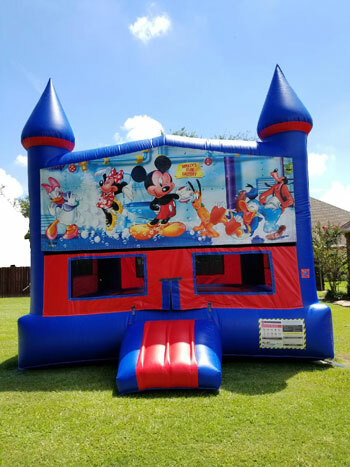 The Mickey's Fun Factory bounce house has a 200 square foot bouncing area, offers a baskeball hoop, and is available for rent in the Lafayette, Maurice, Scott, Rayne and the surrounding areas.